Christine here: Today's guest shares on a sensitive issue. So many frightened women make the choice to abort their babies. My heart aches for them in their fear, and later in their intense loss. It is my prayer that the following story will encourage those who are hurting, and to remind you that God sees the smallest sparrow fall, and cares. Her urgent voice traveled over the phone line. “Where are you, honey?” I sat at my station, scribbling notes on a form provided by the crisis pregnancy center. I’d received many such intake calls over my two years working at the center. Desperate unwed moms, most of them teenagers, crying out for hope and help. Some of them succumbing to abortions, others, thankfully ending up on our doorstep. My heart hurt for them and also for their unborn babies whose lives hung in the balance. I’d seen the prenatal pictures of a baby’s development, but never did the reality of preborn human life hit me harder than in 1981. In November of that year, my husband and I lost our second baby at four months gestation—a perfectly-formed baby boy spanning the length of the obstetrician’s hand. He called it a “spontaneous abortion.” We called him David Nathaniel. I had no choice in the abortion. My body simply and horribly rejected my child. I not only grieved over my loss, but for all the babies who had been aborted by choice. And for all the mothers who had been duped into thinking that their babies were merely globs of tissue, easily discarded. To my horror, four years later, we lost another baby—Allison Marie. Viewing my premature babies, complete with miniature fingernails and tiny toes, gave me a greater appreciation for the sacredness of life at every stage. Sadly, to date, over 50 million babies have died due to abortion on demand. How God’s great heart must grieve over this senseless slaughter of innocent lives. Psalm 139 details how a loving God carefully and meticulously fashions each one of us in the womb, thinks about us day and night, covers us with His hand, and numbers all our days. We are made in His image. So, both preborn babies and their mothers are precious to God. To destroy a life He has created is to tamper with His image. In the case of abortion, a baby’s physical life is destroyed and the mother’s emotional, spiritual, and sometimes even physical well-being is damaged. Eileen Rife is a veteran homeschool mom and author of several nonfiction books, including Wit & Wisdom from the Wee Ones (OakTara), as well as five fiction titles: The Born for India trilogy (Journey to Judah, Restored Hearts, and Chosen Ones), Second Chance, and Laughing with Lily. Her byline has appeared in numerous magazines, including Marriage Partnership, Light & Life, Mature Living, On Mission, Discipleship Journal, and Christian Home & School. She and her husband, Chuck, conduct marriage seminars and speak on a variety of topics for church groups and organizations in the States and overseas. Readers may visit Eileen at www.eileenrife.com, www.eileen-rife.blogspot.com, and www.guardyourmarriage.com. 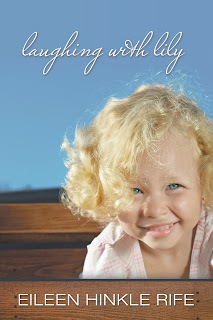 Laughing with Lily, coming soon to Kindle, as well as other formats!